As advocates for women, YWCA of Greater Cleveland recognizes the unique and often unheard voice of women in shelters. We also recognize the systemic barriers to equality and the need to remove these barriers to empower women who are too often lost and forgotten. To provide access to immediate low barrier shelter and services. To empower women in the NHWC to receive the services to which they are entitled and which they often require in order to overcome their experiences of homelessness, trauma, physical abuse and substance abuse, and re-establish self-sufficiency and independence in our community. To encourage women in the shelter to make informed decisions for themselves. To increase the resources that are available to women in the shelter. These goals reflect YWCA Greater Cleveland’s commitment to advancing social and economic mobility for individuals by providing non-prescriptive, highly personalized strategies that honor and amplify the voices of these members of our community. YWCA Greater Cleveland embraces the opportunity to bring our knowledge, skill, and expertise from our successful work with the homeless young adults and young families of Independence Place to the Norma Herr Women’s Center. We look forward to working with Cuyahoga County and other partners in bringing NHWC guests the support and services that they need to transition from the crisis of homelessness to being engaged and thriving members of our community. Norma Herr Women’s Center was not named after a wealthy donor or a local public figure. The shelter on Payne Avenue was named after one of its guests. 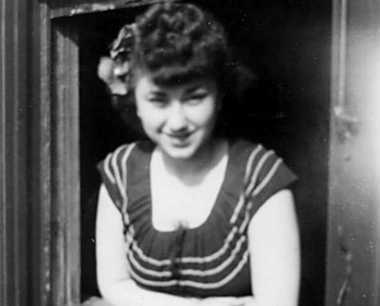 Norma Herr began her life as a piano prodigy who was on track to perform at the highest level. She was also a wife and mother before schizophrenia left her homeless and estranged from her children due to her increasingly violent temper. By the time Norma reached age 80, she was the longest term resident of the shelter and the oldest woman living there. Norma made such an impact on the other residents of the center that, when she was moved into hospice care due to advanced cancer, carloads of women from the shelter visited her every day. During Norma’s time in hospice she was also reunited with her two daughters. When Norma Herr passed away in 2007 a large memorial service was hosted at the Women’s Center that would later bear her name. The moniker stands as a fitting reminder that every woman experiencing homelessness has a unique story and deserves to be treated with dignity and respect, which is what YWCA Greater Cleveland intends to do as manager of Norma Herr Women’s Center.